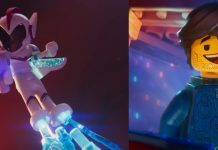 The LEGO Movie 2 is a LEGO theme based on the upcoming February 2019 movie of the same name. The movie is a sequel to 2014’s The LEGO Movie, and accordingly many of the same characters appear in both themes. Popular characters like Emmet, Lucy, and Batman return with new and updated looks, while new characters like Rex Dangervest and Sweet Mayhem make an appearance. There are a wide range of LEGO sets in the upcoming theme, from small ones like the Classic Spaceman pack to huge ones like Rex’s Rexplorer. There are also custom builder boxes (with toolbox-like packaging) and there will also be a Collectable Minifigure series. There will also be a Movie Maker set (to help budding stop-motion animators), a 4+ set and a Duplo set targeted at a younger age group. There are many interesting things about the new wave. One of the sets, 70830 Sweet Mayhem’s Systar Starship, has a separate sticker roll included on the back with stickers that you can use for your other crafts and projects. Fun Fact: This is also the first LEGO theme which has both minifigures and minidolls in the same set, reflecting the idea in the movie of the real-world boy playing with his sister.